With the Roar Before the 24 test weekend in the books, the focus of the IMSA paddock shifts to the season-opening Rolex 24 Hours at Daytona at the end of the month. Our man in the stands was track-side at the Roar, to tell as what we can expect to see at the Rolex 24 Hours that takes place 26th – 27th January. We are in to the third year of the DPi formula, in the IMSA WeatherTech SportsCar Championship, and it has really hit its stride, across the board. A healthy top class, with elite drivers and new Michelin tyres, have added up to create a Daytona 24 which will likely be unforgettable. Up front the DPi class is now 11-cars strong, with an influx of Cadillac customer teams to add to the already sterling Acura, Mazda and existing Cadillac efforts. There’s manufacturer interest in IMSA, and it’s stronger than ever, with the big three up front, Mazda, Cadillac and Acura all heading into the season on the front foot. Mazda is the biggest mover here, the Joest-run effort finally looking world-beating and capable of winning its first race with two heavily revised RT-24Ps, a new set of backroom staff and Olivier Pla and Timo Bernhard added to the driver roster. Last weekend at the Roar test, the RT-24P was the class of the field on pace, so much so that Oliver Jarvis broke the all-time Daytona infield circuit lap record (unofficially) during the session dedicated to decide the pit boxes and garage allocation for race week. Why is this significant? One because the Mazda finally looks pacey on the unique, challenging speedway course, and two, because the record Jarvis broke stood for over two decades. That’s right, the last man to lap Daytona as fast as Jarvis was PJ Jones back in the GTP era in 1993, in an All American Racers-run Toyota. Why have DPis become so fast? In part because of the development curve that the cars have been on, but mainly because of the tyre change. Out is Continental,and in is Michelin as the IMSA supplier and the difference is huge. The DPis are lapping Daytona a handful of seconds faster than in the past, with tyres that last longer and that are more predictable. It is still early stages, but it looks like Michelin has come out swinging, and will deliver us what should be the fastest Rolex 24 ever at the end of the month! Cadillac and Acura are not far behind Mazda, at all, so don’t expect an easy win for Joest, who engineered Audi to over a decade of Le Mans success in the 2000s. In fact, come race week, when it matters there is an expectation that the Wayne Taylor and Action Express Cadillacs and the Penske Acura factory team will all be gunning to break the lap record again, and then the win in the race proper. While the cars have certainly matured, the drivers racing them have too. 2019 in IMSA is set to run with some superb talent behind the wheel, but the Rolex 24 in particular continuing to attract stars. Fernando Alonso? Yes he’s in a Wayne Taylor Cadillac with his WEC teammate Kamui Kobayashi. Rubens Barichello? Check. Mike Conway? Check. The Taylor brothers? Of course. Juan Pablo Montoya? Certainly. And that’s just a handful of drivers in DPi, as the rest of the field is littered with quick drivers too. You may remember that Nissan was involved in DPi, with the ESM-run Onroak chassis? Well, ESM has shut its doors, but CORE autosports, which almost won the overall IMSA title last year with an LMP2 ORECA has stepped up and bought one of ESM’s old chariots to campaign this year. So yes, there’s variety and DPi looks stronger than ever. Elsewhere, GTLM looks as strong as ever too. There are no new cars for 2019, but the same strong set of factory teams are all eager to duke it out. New for 2019 Michelin tyres in the class (which has always been running with the French constructor) mean the lap times are tumbling in GTLM too. That coupled with the armada of Porsche, Ford, Corvette and BMW drivers (plus a Risi Ferrari) means that at times we won’t know where to look on track, as usual. Alex Zanardi also deserves a mention here, the Italian, who has multiple Paralympic hand cycling gold medals and two CART championships to his name is racing with BMW. The man, who is quite possibly the most positive force ever to grace a paddock, is set to drive in a factory M8 GTLM, which does have a shot at victory. He’ll race with hand controls, and climb in and out of the car under his own steam at stops. He’s remarkable, and so are BMW for giving both him and the fans an opportunity to witness such greatness first hand. He’s also hinted that this could be his last ever race, so his progress will be one of the big story lines to follow. Oh, and expect a retro livery or two in GTLM for Rolex – you’re going to want to watch this space! Then we have GTD, with over 20 cars once again, from a slew of manufacturers. IMSA boasts nearly 20 manufacturers competing in WeatherTech these days, and much of them race in the GT3 contingent. Acura, Lexus, Ferrari, Porsche, Audi, Mercedes, Lamborghini and BMW are all present, with top teams and drivers. It’s impossible to pick a winner here, and there are more question marks than usual as the majority of the field are running 2019 EVO kits. At the Roar Riley Motorsports’ trusty Mercedes AMG GT3 topped the times, but Meyer Shank Racing’s new Acuras and the selection of Ferraris were close behind. In testing, times shouldn’t be read into though, especially in a Balance of Performance-oriented class. So, grab the entry list, marvel at the lengthy list of world-class teams, cars and drivers, sit back and relax. If the weather holds out, this will be the fastest, most hotly contested Rolex 24 of the modern era. And if you find that you now want to be track side for the Rolex 24 at Daytona? You had better call Travel Destinations quick because time is running out! 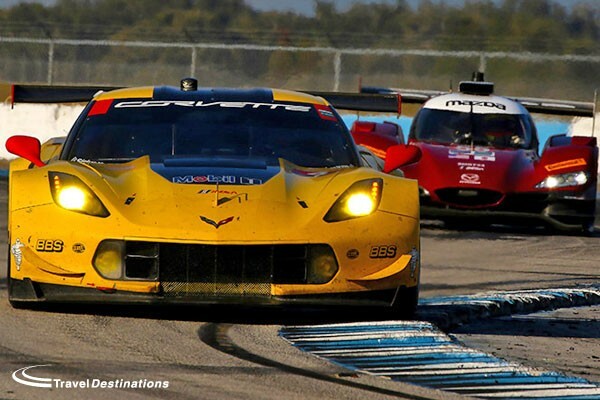 This weekend sees the 65th running of the 12 Hours of Sebring. This is one of our favourite races on the motorsport calendar and this year looks set for another exciting race. If you like small tight circuits, old fashioned concrete tracks, lots of action and of course the Florida sunshine then you just have to go to Sebring. Here our man in the stands takes a look at what we can expect from the race this weekend. After dominating proceedings at Daytona, the three Cadillacs racing at Sebring have been pegged back by the IMSA Balance of Performance process. The three DPi V.Rs have had weight added and had the air flow to the engines reduced in an attempt to allow the other prototypes to compete over a single lap. Whether it will work at Sebring or not remains to be seen, as the Cadillacs proved to be the most reliable, as well as the quickest in almost all conditions at the Rolex 24 at Daytona. The prototype field which Action Express and Wayne Taylor Racing is up against, as a whole, is still impressive following Daytona. Entries from Mazda, Cadillac, Ligier, Oreca, Riley and Nissan grace the class, making for the most diverse prototype grid on the planet. Only DragonSpeed has fallen off the list since January. 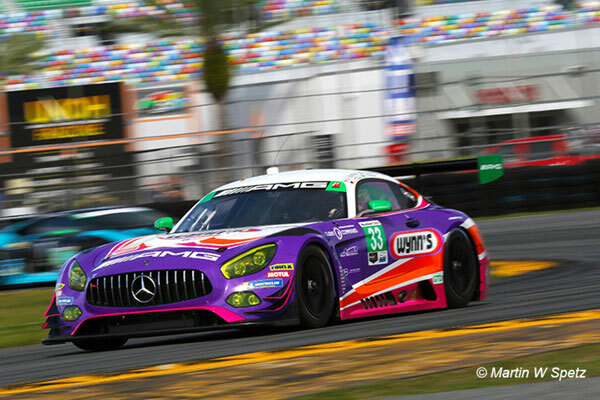 With the gloves off at Sebring, it’ll be very interesting to see who actually emerges on top! While the Cadillacs entered are the same as at Daytona, the driver lineups have seen some tweaking. 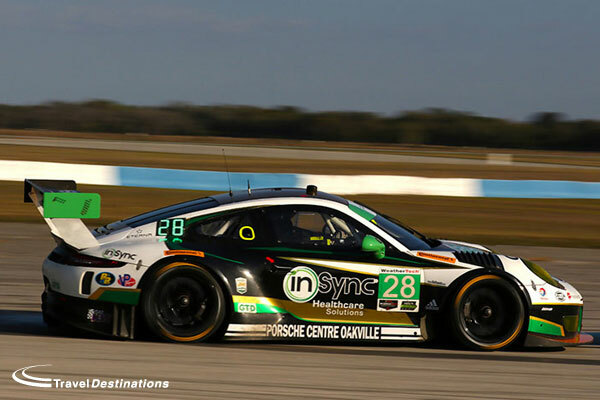 The most notable change heading into the race is Wayne Taylor Racing’s addition of British driver Alex Lynn. Lynn takes the place of newly-retired Max Angelelli in the team’s third seat for the endurance rounds of the WeatherTech Championship this year, and is set to impress on the North American endurance stage. Since moving over from single-seater racing last year, Lynn has raced with Manor in the World Endurance Championship as well as United Autosports in a one-off LMP3 race. He’s fast, consistent and used to high-pressure situations. If you watch a lot of sportscar racing, then you’ll be seeing a lot more of Alex too. With appearances in the VLN championship and Nürburgring 24 Hours with BMW, Petit Le Mans with Cadillac and the full World Endurnace Championship with G-Drive Racing. He is going to be busy. After winning both the Rolex 24 Hours and Sebring 12 Hours last year, Extreme Speed Motorsports is back for another crack this year to try and repeat at least one of its high-profile victories from a year ago. At the Rolex 24, the Ligier-based Nissan DPi impressed over the full race, with only minor issues setting it back and preventing it from truly challenging for a podium spot in the final hours. 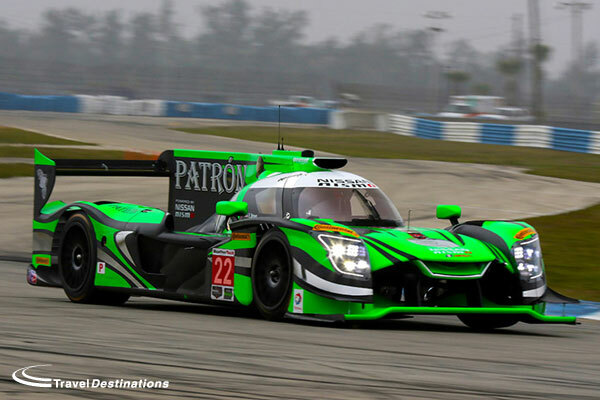 In its return to Sebring since its big win, it continues to field a stellar lineup, with Scott Sharp, Ryan Dalziel and Pipo Derani in the No.2 car and Ed Brown, Johannes van Overbeek, Bruno Senna and Brendon Hartley in the other. We still don’t know for sure who the favourites for the overall title are this year, but we’ll have more of an idea after this weekend. If ESM take on the punishing airfield-based circuit this weekend and come away with a good result, then it’s game on for the remainder of the season. 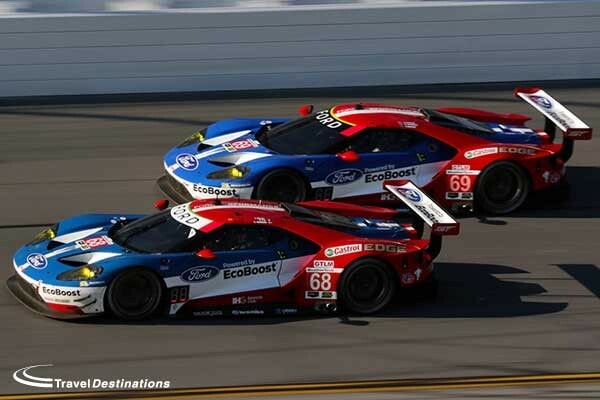 Ford Performance is set to field a trio of GTs in the GTLM class this year, after taking a quartet of them to the Rolex 24 Hours. 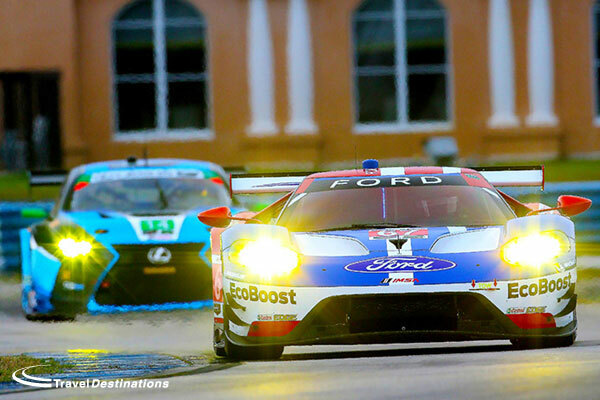 Out to win the big races, Ford knows that it has the chance to win the Le Mans 24 Hours, Rolex 24 Hours and Sebring 12 Hours in less than nine months if it can seal the deal this weekend. Driving the third car is the World Endurance Championship crew of Billy Johnson, Stefan Mucke and Olivier Pla in the No.68, which should provide a formidable third bullet in the Ford gun. 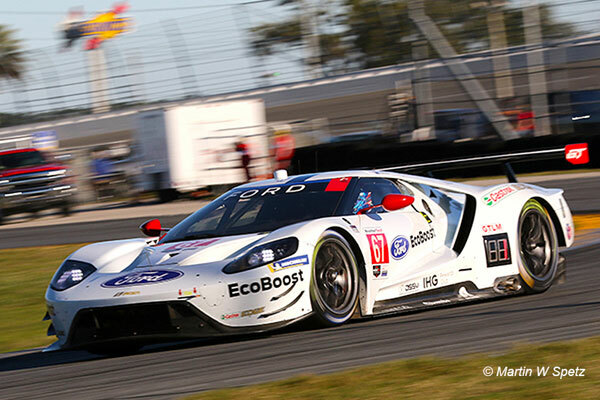 It would be mightily impressive but not necessarily surprising to see them win its second Floridian race this year; as even a year later the GT still looks just as much like a prototype (if you squint your eyes) as it did at its debut. The GTLM field will be close though, with Porsche, Corvette and the Risi Ferrari all looking capable of taking the win at Daytona. 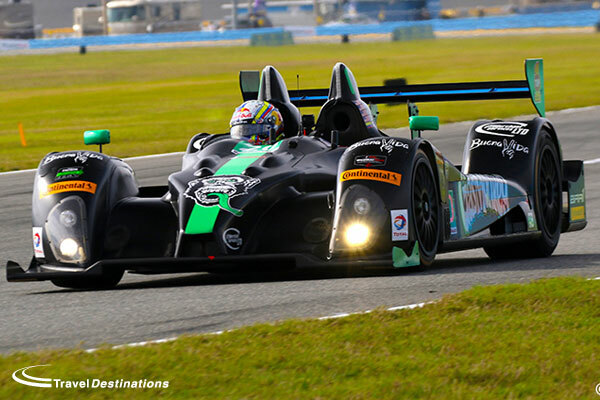 There is not much between them as they head to Sebring. After Alegra Motorsports took a surprise victory at Daytona, with its Porsche 911 GT3 R that had a quiet run to the front, anything can happen going forward. 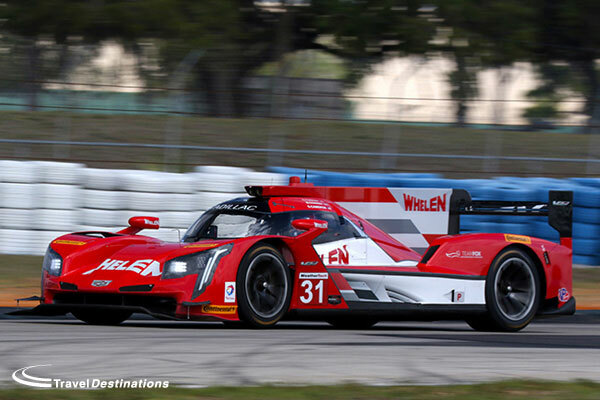 Alegra will race at Sebring – after its impressive run prompted it to extend its commitments for 2017 – but it’s so close that we will likely see a second winner in as many races. Will the Acura NSX GT3 show its true potential? Can the Mercedes AMG GT3 runners mimic their European counterparts? Is counting out the Audi teams going to be a mistake? At this point we just don’t know, which should make the GT3-based class a fascinating watch. It certainly looks like Travel Destinations guests trackside at Sebring this year are going to be royally entertained on the track. With the addition of the Club 12 bar and grill in the centre of the track alongside live music and entertainment throughout the weekend, there is plenty going on around the circuit too. It is going to be fun! The dust is still settling after the Rolex 24 at Daytona and our man in the stands has returned home having watched every second of the action. After the controversial finish, that saw Wayne Taylor Racing victorious & each driver walk away with a new watch, Stephen Kilbey reviews last weekend’s events. The debate on Balance of Performance was rampant at the Rolex 24 Hours, but unusually, in this instance concerning the prototype class rather than the GTs. 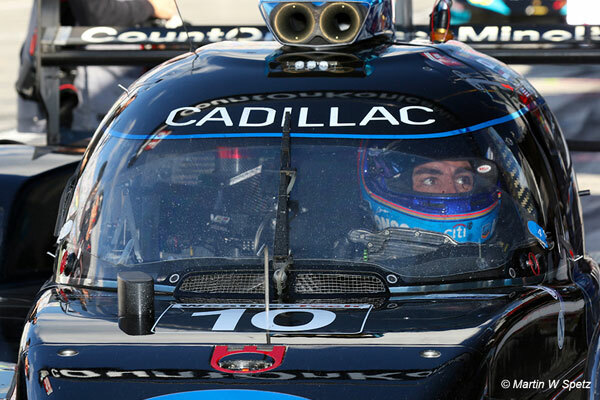 Cadillac dominated the meeting at Daytona from start to finish, topping every practice session, qualifying and the race. The other DPis in the new class and the global LMP2s were still competitive at times, but only in certain conditions and during certain periods of the race. 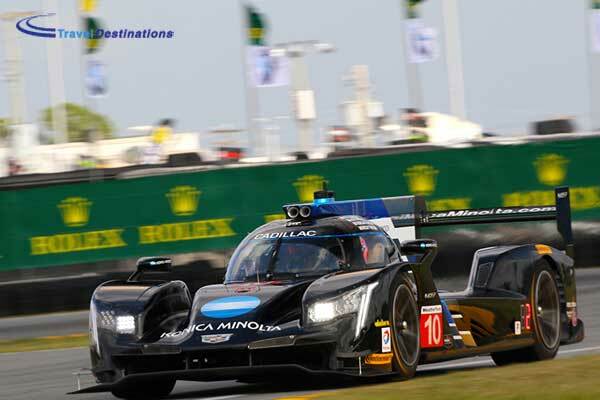 What we were left with was a fierce battle between Cadillac entries with rival teams Wayne Taylor Racing and Action Express at the end, which ended in dramatic fashion with a lead change in the final 10 minutes. The change in lead was controversial as contact was made causing the Action Express car to spin. 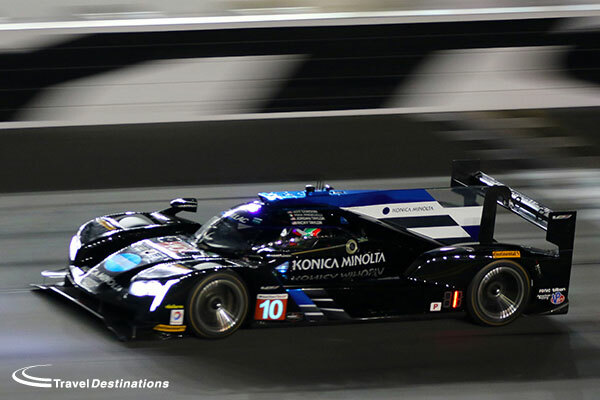 Ultimately no further action was deemed necessary by the stewards so Wayne Taylor Racing took home the Rolex watches, and began the new era of North American prototype racing in fine style. But going forward, Mazda, ESM and the LMP2 teams are going to have to step up if they are to have any chance of fighting for the title or even winning races for the rest of the season. A big question mark heading into the Rolex 24 was going to be the fragility and durability of the new prototypes, which were all making their global race debuts in South Florida. 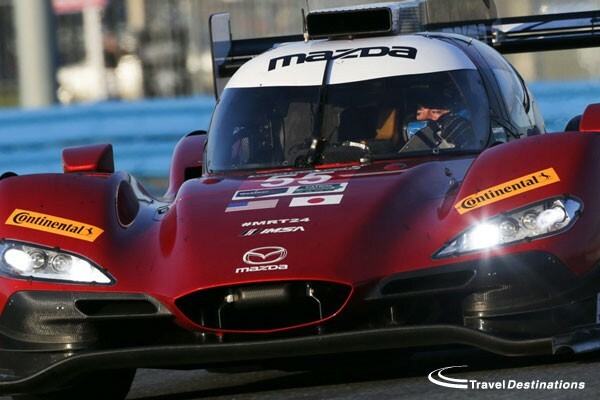 Everyone was left pleasantly surprised though, as despite various mechanical niggles and incidents up and down the field, there were no retirements until the 20 hour mark when the No.70 Mazda’s engine expired in a big way up and down the pit lane. There’s obviously room for improvement though, which in turn will create better racing as the season wears on. What we have though, is a class with serious potential, stunning looking cars, good sounding entries and manufacturer interest going forward. IMSA appears to have it right this time round. GTLM was arguably the most exciting class throughout this year’s Rolex 24 at Daytona, with four of the five manufactures represented having a shot to win the race in the closing stages. In the final two hours seven of the GTLM runners were competing for the lead, creating an absolutely thrilling end. Porsche with its new car, Corvette with its proven C7.R and Risi with its ultra-quick Ferrari all looked poised at various points, but in the end the four-car armada from the Blue Oval came out on top. All four GTs in the race made it home, and the No.66 of Sebastien Bourdais, Joey Hand and Dirk Muller in particular was the class of the field for a significant portion of the race before winning it all at the end. The Ford GT is now both reliable and fast, with a set of drivers in its two full-season entries that can go toe-to-toe with the best the class has to offer. 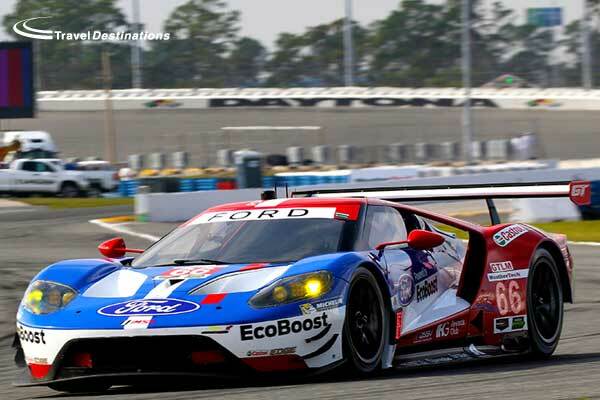 Corvette won the title last year, but this time round Ford surely has to be the team to beat? In one of the most incredible runs to the flag in recent memory, Alegra Motorsports’ GTD Porsche 911 GT3R managed to storm to the win in the Rolex 24, after spending 22 of the 24 hours biding its time climbing the order. Up against arguably the best and most diverse GT3 field ever assembled on American soil, Alegra Motorsports proved that staying on the lead lap and ensuring your star driver is in at the end is the key to winning. Daniel Morad, Carlos de Quesada, Michael de Quesada, Jesse Lazare and Michael Christensen all combined for a historic run for Porsche, cruising into Parc Ferme with no scratches on the car after the race. Alegra’s entry was supposedly a one-off, but after such an incredible performance by the Canadian outfit, surely further appearances will spawn off the back of its success? After eight years, the LMPC class with the spec Oreca FLM09 chassis is way past its expiry date. The racing wasn’t great, with performance Tech winning by over 20 laps, and the driving standards were mostly poor as well. Starworks and BAR 1’s entries spent way too much time in walls or on the grass in the treacherous conditions, causing multiple safety car periods which prevented the whole race from ever becoming rhythmic. Originally a class with a sole purpose to bolster the American Le Mans Series grid during tough years, it has now run its course. The cars are old, the interest is now minimal and the field overall is so strong that it feels a redundant class. As of next year the class will be written out of the rule book, and that’s a good thing, but it is going to be interesting to see what the current teams in the class will do, given the opportunity to step up to LMP2 or race in GTD/GTLM in the future. 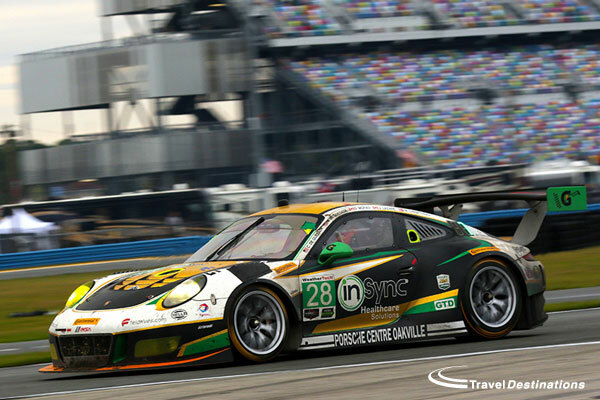 Travel Destinations was pleased to host another great group of race fans at this years’ Rolex 24 at Daytona. We will be back again in January 2018 so if you would like to join us please do register with us now to be the first to receive all the details. 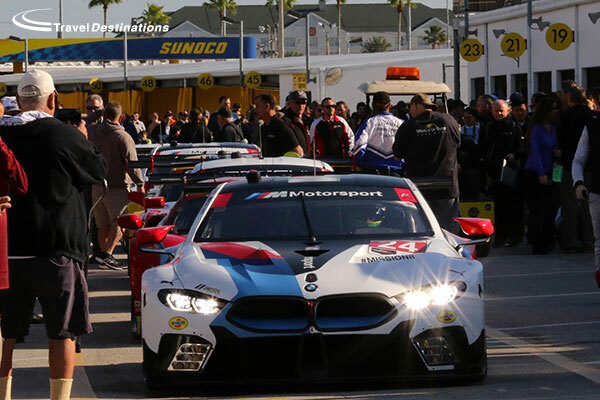 On the eve of Rolex 24 at Daytona; the first chance to see some of this years’ new machinery in action, our man in the stands takes a look at some of the talking points and things to look out for at this year’s race. 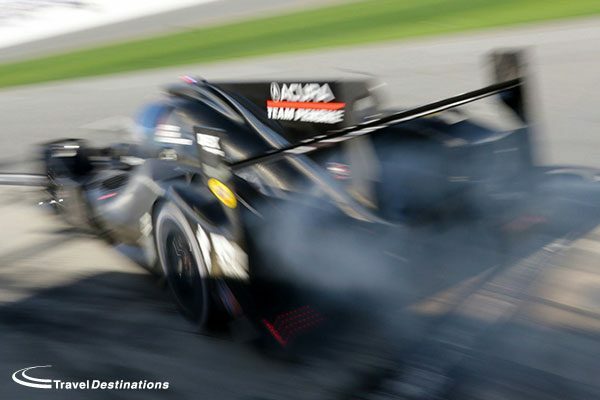 The new era for prototype racing in North America starts now at Daytona. 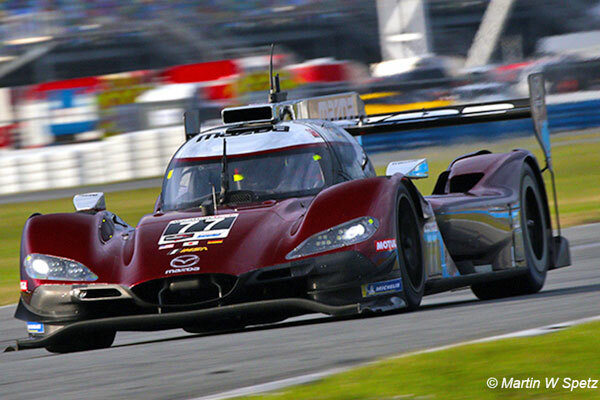 Seven DPis and five brand new global LMP2s will all make their global race debuts at Daytona. It is very early days for all of the cars taking part, with limited running and plenty of niggles for most of them during the two official Daytona tests prior to this race week. Having said that, they are fast. They look good and are set to be driven by some incredibly talented drivers come Saturday afternoon. The three Cadillacs run by Action Express and Wayne Taylor Racing look to be the fastest over a single lap at this stage, but the race is a long one, and the durability could be in question. 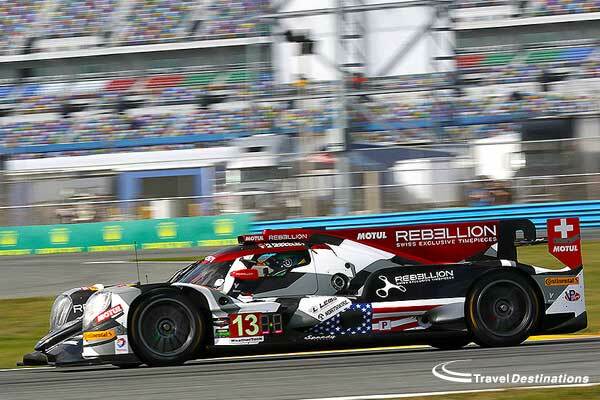 In the LMP2 corner meanwhile Rebellion has been consistently quick through testing and practice at the speedway, with Neel Jani in particular showing off his ability to mix it with the Cadillacs and outpace the Mazda and Nissans. Outside of Oreca, both Ligier and Riley/Multimatic are represented by PR1/Mathiasen Motorsports and Visit Florida Racing respectively. Both are capable teams, and are set to race in the full season of IMSA. Time will tell if they’ll be able to compete for wins though as the season wears on. With the entire Prototype field made up of unknown and unproven quantities, the chances of a surprise GT winner or at least top three may be higher than you’d normally think. There is no argument that the DPi and LMP2 prototypes are far quicker than those down in the GTLM field, but over the course of the 24 hours, history suggests that the new technology is likely to hit some trouble at one point or another. It could therefore turn into a chase to the finish with the leaders in the prototypes attempting to track down the more reliable GTLM leaders. It has happened before, and as recently as 2003 when TRG won the race overall title in a GT2 Porsche when the then new Daytona Prototypes in the field all fell by the wayside. 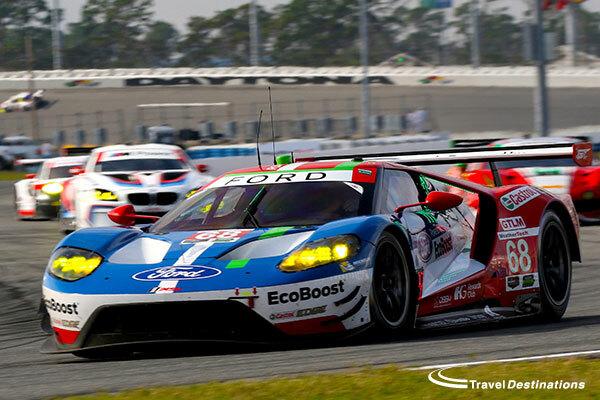 And aside from the very real opportunity to score a 1-2-3-4 in GTLM, Ford bringing four GTs to the Rolex 24 Hours could very well be an attempt to maximise the opportunity of winning the Rolex 24 outright. In the GTD class, the main interest is going to be the progress of the new Acura NSX GT3 and Lexus RCF GT3s, as well as the debut of Mercedes in this class. For Lexus, the RCF GT3 is finally set for its North American debut after years of development. The cars on track at Daytona are the same specification as the Lexus which raced – and won overall – in the VLN at the tail end of last season. The team, formerly known as Rocketsports Racing, is keen to put its past, with the failed Jaguar XKR GT3, behind it as the face of this Lexus project. The time is now for Paul Gentilozzi, who with the backing of Lexus North America, will want to be gunning for wins, certainly by the end of the season. Acura’s IMSA programme meanwhile is headed by Michael Shank Racing. The team, which has been racing prototypes in recent seasons has been tasked with running the brand new NSX GT3 partnered with the brand in its endurance programme. It is a big ask for the team, which clearly understands the magnitude of the challenge at hand. It remains to be seen how competitive the car can be this early in its debut season, though Balance of Performance will as always be a leveling factor, no matter which side of the performance equation it sits early on. The main focus for the Rolex 24 at Daytona will be ensuring that it’s up to scratch in the durability and serviceability department. Beyond the galaxy of returning IMSA talent the Rolex 24 at Daytona once again dishes up part of its unique appeal; the opportunity for drivers from other parts of the sport to take on the challenge of Daytona in a proper endurance race. There is little doubt who the biggest draw is likely to be this week with legendary NASCAR driver Jeff Gordon back at Daytona racing in the Wayne Taylor Racing Cadillac DPi. From the sportscar universe, there are no fewer than nine recent, and for the most part current, FIA WEC LMP1 factory drivers listed among the 43 men due to do battle in the Prototype class. The names on the list include two current Porsche men, 2016 World Champ Brendon Hartley and current title holder Neel Jani. Toyota are well represented too with 2014 Champion Seb Buemi, plus the experienced Sarrazin, Conway and ex Toyota man, and current LMP2 WEC and Le Mans Champ, Nico Lapierre. Add in 2013 World Champ Loic Duval, current Audi DTM man plus the ultra-fast Rene Rast and Filipe Albuquerque and you’re left with a real chance to see the team mates and friends, now wearing completely different kit, going up against each other. There’s also a bunch of WEC LMP2 race winners like Bruno Senna and Ryan Dalziel on the list too with ELMS race winner and previous LMP1 privateer champ Mathias Beche and reigning European Le Mans Series LMP3 Champ Mike Guasch also set to race. IndyCar is also well represented, as Jack Hawksworth is set to drive a Lexus RCF. James Hinchcliffe will be aboard the No.70 Mazda. Buddy Rice will pilot a PC. Graham Rahal will peddle an Acura and Tony Kannan has a real chance of winning GTLM whilst making his debut with Ford. With the GTE/GTLM machinery continuing on its vertical developmental curve, Porsche is the most recent marque to bring a fresh car to the category after Ford brought the GT to the party in 2016. The new mid-engined 911 RSR promises to make strides in both performance and serviceability as the brand looks to get its premier GT programme back on track after a tough 2016 campaign on both sides of the pond. In terms of drivers Porsche’s works stable has a fresh look to it, with Audi-stalwart Laurens Vanthoor set for his debut, along with ex-BMW man Dirk Werner. The new men will race with regulars Patrick Pilet, Frederic Makowiecki, Kevin Estre and Richard Lietz, who all know how to develop a car and turn it into a winner. At the Roar Before the 24, the Porsche crew didn’t set any particularly notable lap times, but did manage to complete a significant amount of on-track running. It is going to be interesting to see if the new car can hit the ground running before its trip to Sebring and then the start of the WEC season which of course includes Le Mans, which the team will of course hope to win for the first time since 2014. The Rolex 24 at Daytona 2017 promises to be quite a race, so sit back and enjoy the ride! 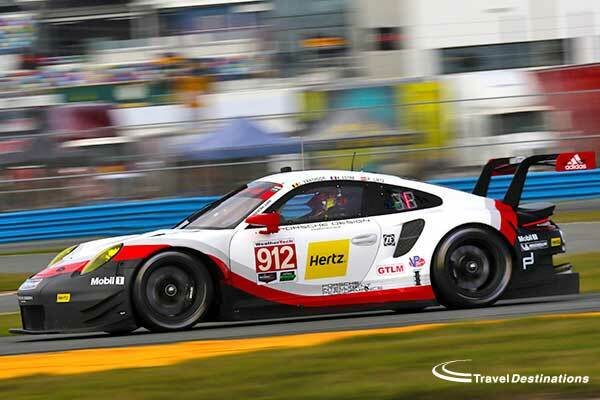 Travel Destinations are once again hosting customers at the Rolex 24 at Daytona. They are currently staying at our exclusive hotel overlooking Daytona beach and enjoying all the action at the Speedway. The tour includes car hire to enable you to be independent but is also escorted by one of our staff to help and guide where necessary. If you would like to join us in Florida for the Rolex 24 at Daytona in January 2018 please do call or email us now to register your interest.